180 gram mono vinyl reissue by Pure Pleasure! 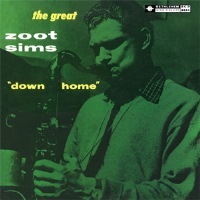 1960, when this album was recorded, was one of Zoot Sims' most productive years. The performances here are recognized as being the masterpieces of Sims' middle period. With a skilled rhythm section (Dave McKenna on piano; George Tucker on bass and Dannie Richmond on drums), Sims breathes life into traditional songs. While not a groundbreaking release, this is one album that stands the test of time. Recorded June 7, 1960 in New York. Mono. Originally released by Bethlehem as BCP6051. This vinyl reissue released in UK by Pure Pleasure in 2012.